Massachusetts – Boston was recently named the city with “the most young people.” If you’re like me, and millions others not quite sure what that means, maybe you could go ask some of the young people. Go in August and there are more than a few young college students who have “slammed and jammed” their rented U-Haul trucks under the over passes along Storrow Drive. Michigan – Have you ever thought about going to Detroit, telling all the local and state governments, that you wanted to “bulldoze” the entire city to the ground and start new with the most modern futuristic society on the planet; complete with manufacturing hubs, innovation quarters, medical research centers, and every other forward thinking idea the world every dreamed about? It would kind of be like Dubai without the sand, the heat, and the tourists walking around with speedos, black socks and sandals. If they thought you could pull it off, the city council might even get down and wash your feet. Minnesota – Want the definition of National Treasure? 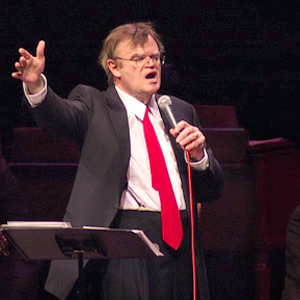 Tune into to “A Prairie Home Companion.” Its most often recorded from the Fitzgerald Theater in St. Paul, MN. It’s a modern narrative radio show that I wish I caught on the air far more than I do. An audio art form, where not “being there,” may actually be cooler than watching it in person. Missouri– Pokey La Farge and his band of musicians based in St. Louis un-bashfully mix multiple genres of music known to America, be it Blues, Jazz, Rock, Country, Western Swing or any form of “roots” music in between. They just call it music. He is now represented by Rounder Records who are considered the premier “roots label;” bearers of the torch for the Blues, Zydeco, and Cajun artists. Most interesting, the label itself was not founded in New Orleans, St Louis, or any place close, but by three college kids in Cambridge, Massachusetts in the early 1970”s. Let’s hear it for “triple A;” acoustical affirmative action! Moldova– A small country recently formed after the breakup of the USSR, nestled in between Romanian and Ukraine….”ah Zulu…Zulu……ZULU!!!! !” Yes? “You do realize this is an A-Z blog about the United States right?” Hey, what’s the point of reading, or writing ZD45 if there are no surprises, literary dalliances, or flat out abandonment of the reality or protocol at hand? So, before I was interrupted……I recently had a reader view my webpage from Moldova (I had to look up where it actually was). Judging from the information on Wikipedia, I posit, reading and following ZD45 has to be the primary culture highlight of the country…oh well,…same as the rest of the world! Montana–A man in Butte started a police chase in his car because he said “he always wanted to do it.” Police threw down spikes, popped his tires, and fined him $1000 dollars for his speeds of 70 to 100 MPH. It’s kind of like a morning commute in the Northeast. Some moron going by at 90 miles an hour cuts you off, and after you swerve to miss him, you hit a pot hole, pop your tires, and have to pay $1000 dollars to fix the damage. Yea, I always wanted to do that! 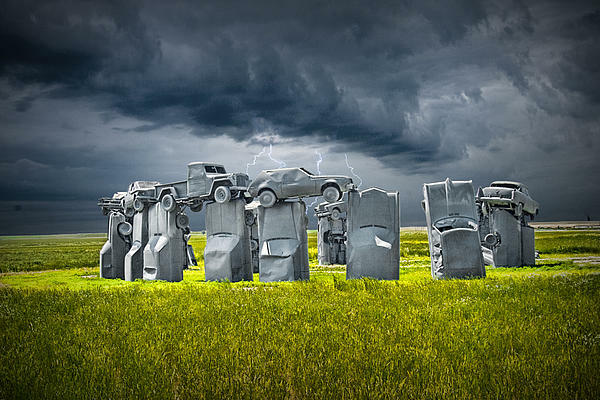 Nebraska – Carhenge in Alliance, started as a private art project consisting of 38 cars painted grey arranged in a circle to closely resemble the mysterious monument, Stonehenge in England. It now has a visitor center, is run by the town, and has 75-85 thousands visitors per year. “Art Is Love,” and I’d be thrilled if the ZD45 website got anywhere near that kind of attention. New Hampshire– In 2003, the tourist attraction/ natural rock outcropping affectionately called “The Old Man of the Mountain” collapsed. To be honest, I’m glad. To me it only means billions less tourist brochures, pictures, and super-hyped-up-nothingness! Don’t worry locals; I hear “The Man in the Moon” is looking for a sponsor. New Jersey – The “Jersey Left” also known as a Jughandle which resembles one quarter of a highway clover leaf is a very common traffic mechanism in the state used to safely and efficiently move traffic in the right hand lane across the left hand lane. One day while driving, Russell J. Lemire “declared” the Jughandle “broken,” (that’s what he told me, “the jughandle was broken”) and proceeded to invent his own traffic pattern. He “banged a U’ie” into the left hand- head on traffic, and caused a 10 car pileup on the other side. Unconfirmed reports of him yelling “Jug This” out the window as he drove away from the resulting mayhem are just that; unconfirmed. OH, these are GOOD! Although the collapse of the MITM was such a disappointment. I mean, that iconic profile!